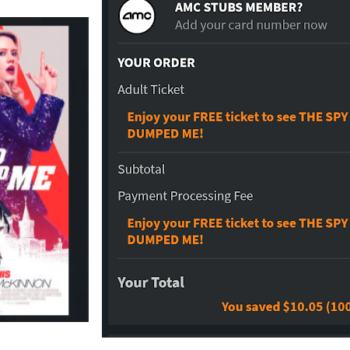 The Spy Who Dumped Me - Free Movie Ticket with Atom App! The Spy Who Dumped Me – Free Movie Ticket with Atom App! Looking for something to do this weekend on the cheap? 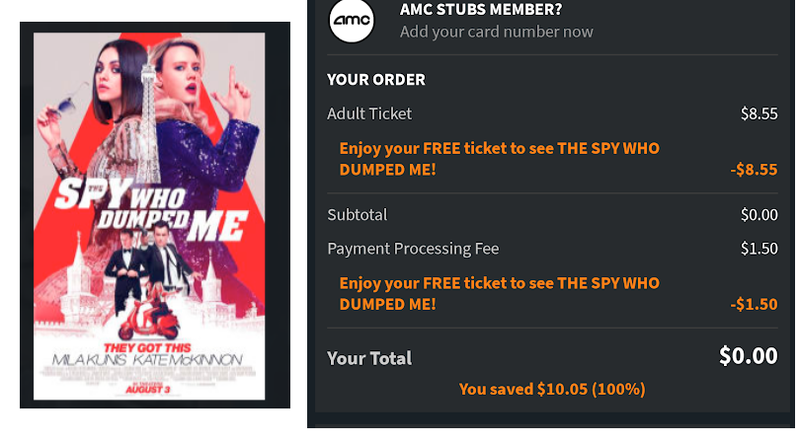 The Atom App is offering a FREE ticket to see The Spy Who Dumped Me. Just choose your theater and ticket time in the app and enter code ATOMSPY in the promo box at checkout! Hurry, this one is only available while supplies last and will only work in the app!